...and filled them with 1/4 cup of long grain white rice. 15-20 seconds in the microwave is all it takes to make these toasty hot. The Avery site has lots of label templates and I chose some festive ones to jazz up the presentation. 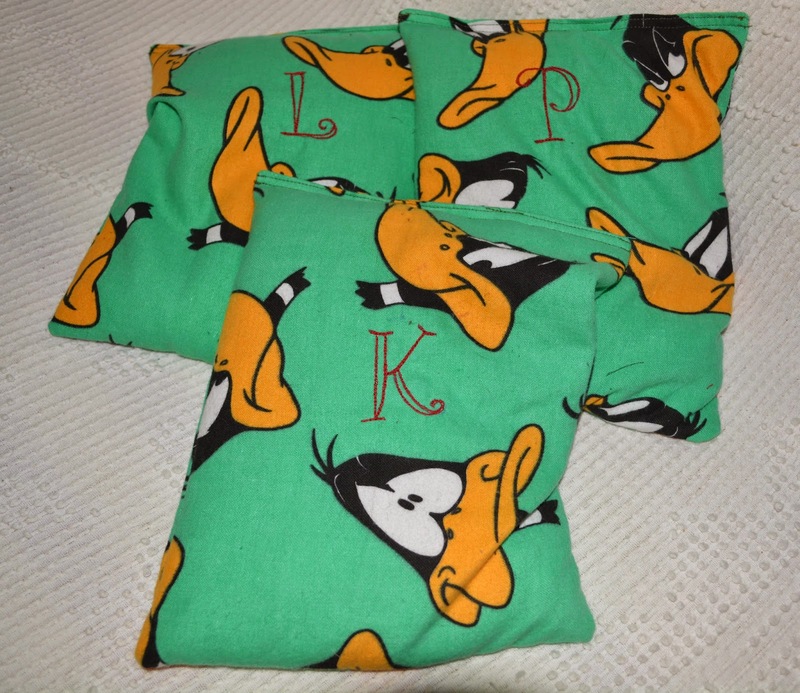 To accompany these, I also stitched full-sized rice bags from a scrap of flannelette from the stash. I cut the fabric into 8-1/2" x 11" rectangles. To make them all the same but different- so they could tell them apart- I stitched their initial on each. 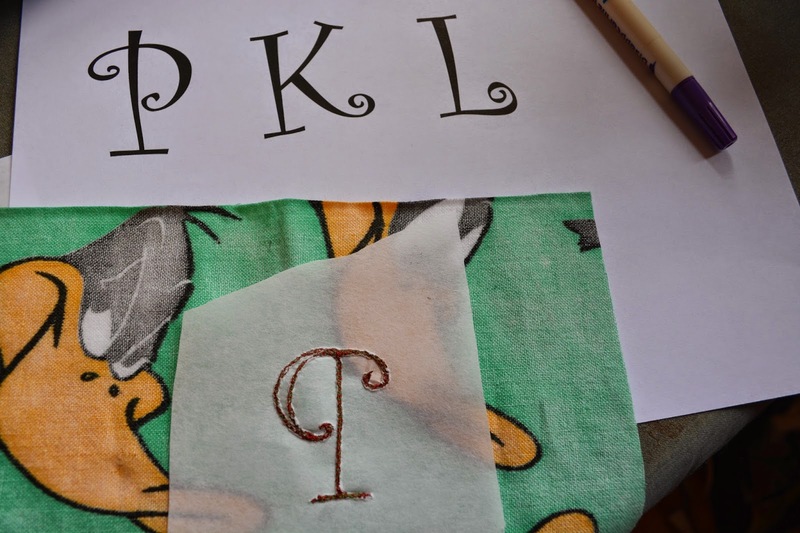 To do this, I enlarged Curl font in WORD to size 200 and traced the letters onto the fabric. With a piece of tear-away stabilizer under the fabric, the letters were free motion stitched using cotton thread. It only took a few minutes to do each one. They were filled with 4-1/2 cups of rice each. Not fancy by any means, but quick and easy - and very useful. 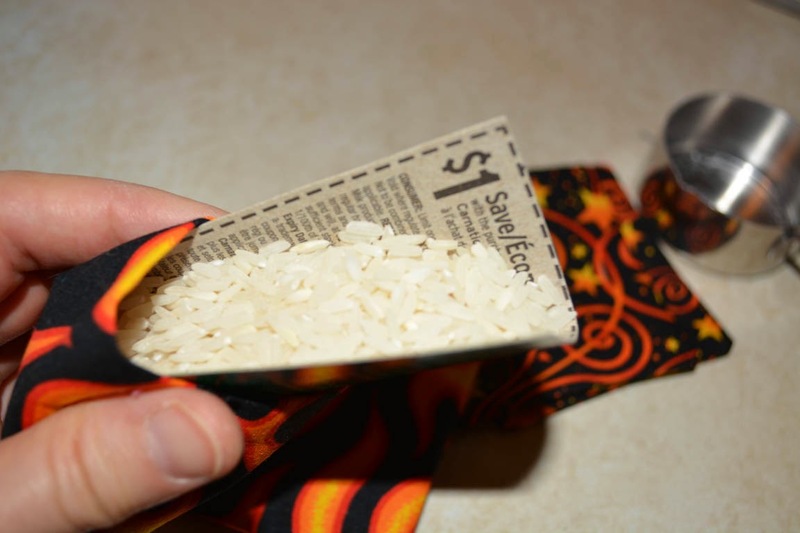 There are full directions for patchwork rice bags here if you'd like to try one. 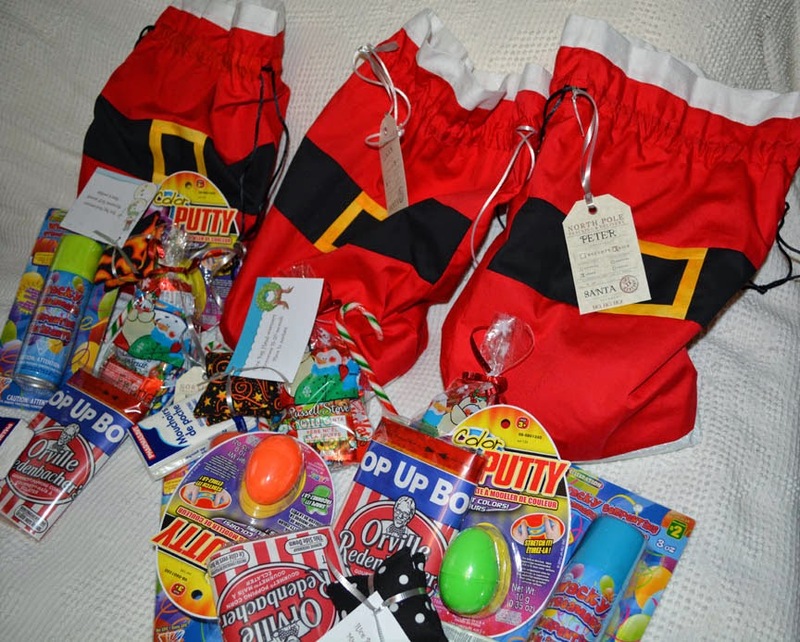 The bags also contained microwave popcorn, silly putty, fruit snacks,toiletries, gold-fish crackers, cans of silly string and, of course, chocolate. 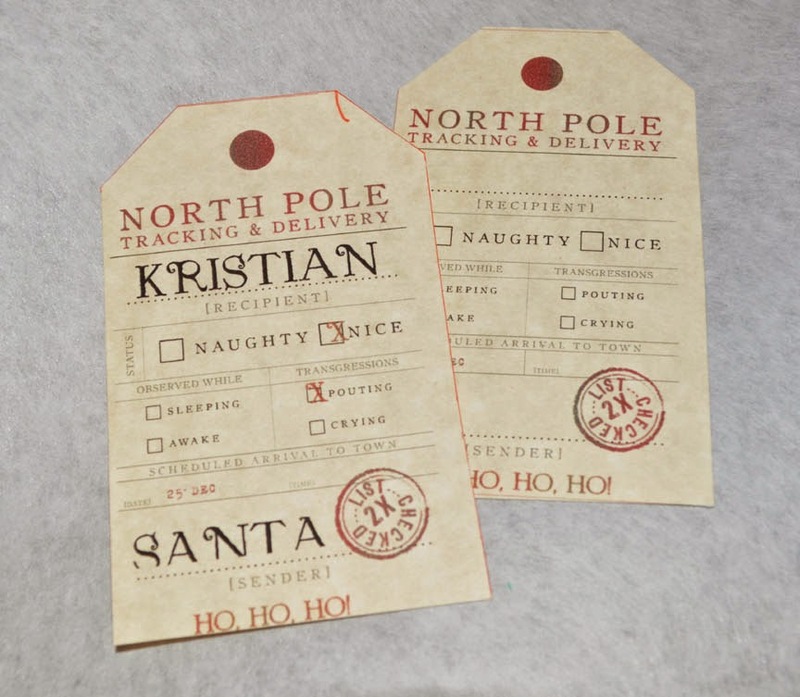 I found these perfect print-ready tags online, and used a "Saint Nicholas" font to add their names, and a few details about that naughty or nice business. 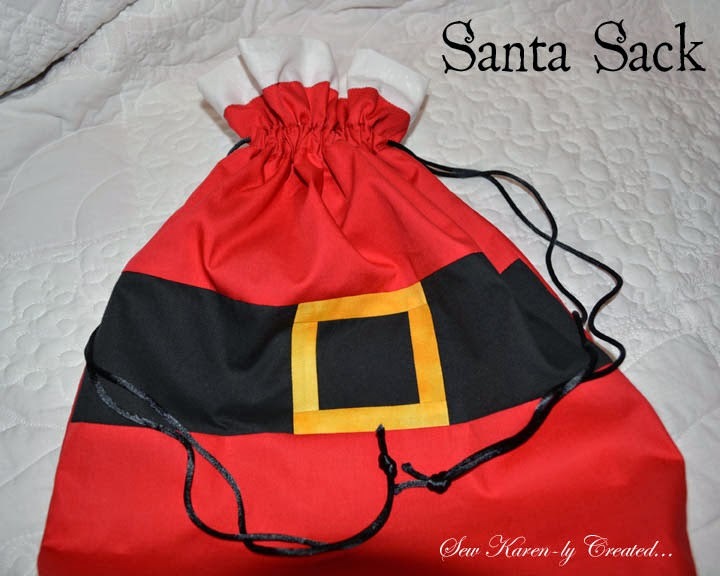 The pattern for the Santa Bags may be found here and the tags are at Brooklyn Limestone. The parcel also went with an advent calendar, containers of Christmas baking, and adorable Baby Bel cheeses with Christmas motifs. It arrived around suppertime and to say the boys had fun is an understatement; a text message and a dozen or so happy emails is testament to that. Exams start next week and hopefully there will be a cookie or two left to nibble on during late nights of studying. In the end, it wouldn't matter what was sent because ultimately those bags were simply filled with love and a reminder of home -whether it be Amherst, Inverness or Ottawa- and family...which is what Christmas is all about. Have you looked at your calendar? A month from today will be Christmas!! I love doing fun, silly things to celebrate the holidays. 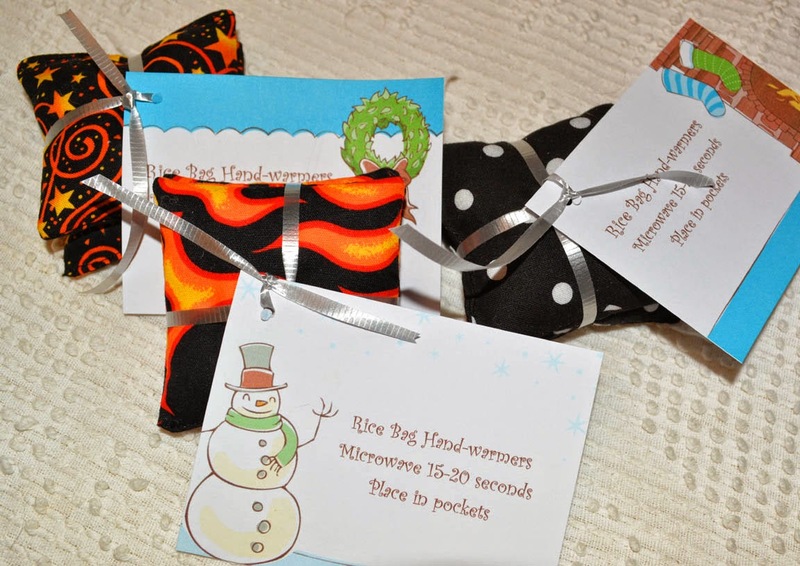 You may recall that last year I made 5 Christmas stockings for my university son and his room mates and had a great time stuffing them with goodies for them to enjoy during exam time. The boys absolutely loved the stockings, and having their name free motion embroidered was a special treat. This year that son is in a smaller apartment, with fewer roommates. 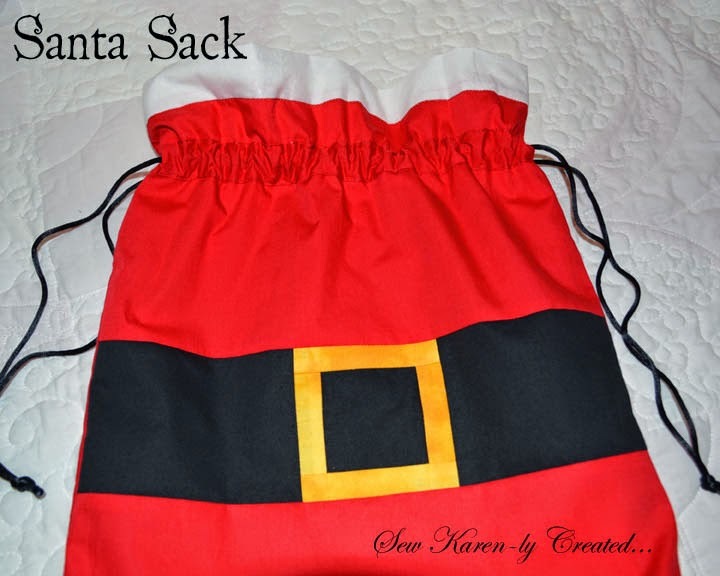 I didn't want to repeat the stocking idea so decided instead to make Santa sacks. 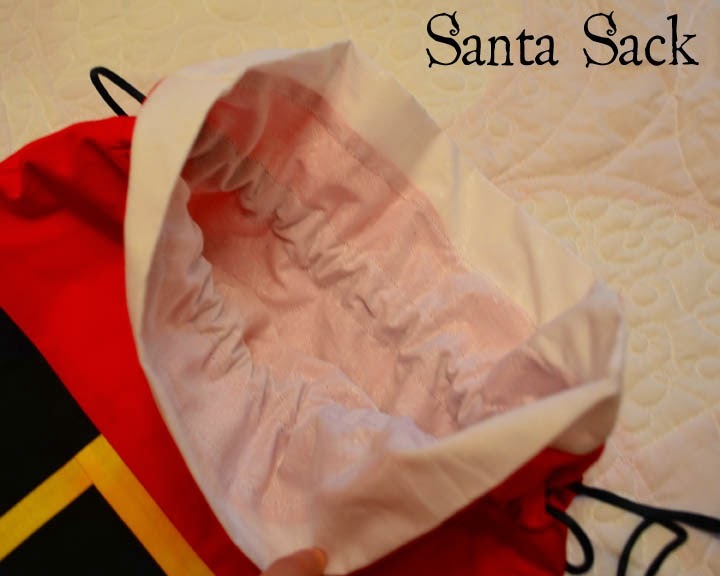 These bags are a good size - 12" x 16" -and made to last many Christmases. 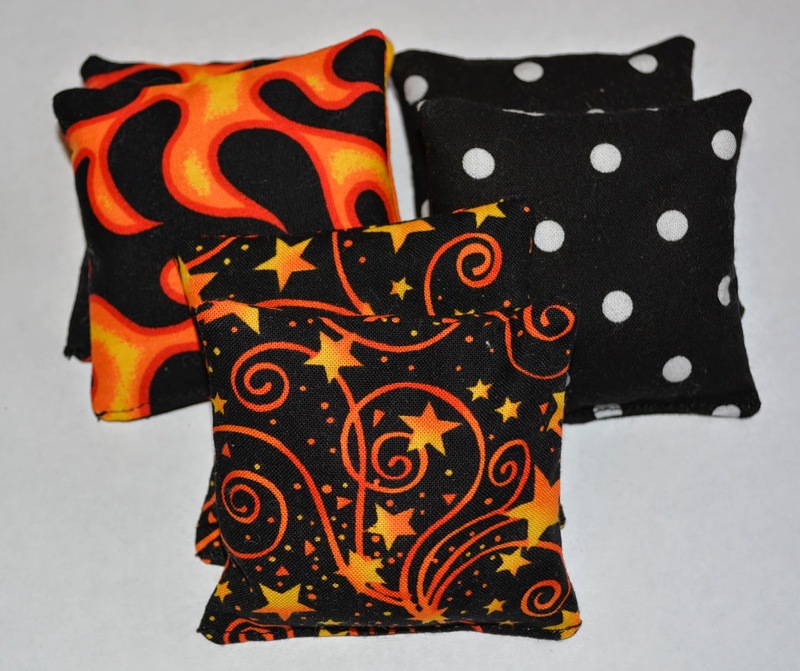 They are fully lined, and have an easy drawstring casing (no buttonholes to make!) I made three in an afternoon and liked them so much that I decided to write up a pattern. My good friend Cheryl, aka Grandma CoCo, worked her magic quickly in checking the instructions for clarity and errors. If you'd like to make your own, you can download the pattern here on Craftsy. 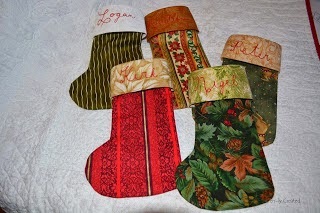 I think these would be a fun idea for a grandparent who doesn't get to spend Christmas morning with their grandchild. They could place a special gift from Santa for the child, left under their tree. For sure I will be making one of these for my sister and brother-in-law for their new grand baby. EDIT:Not two hours after she downloaded the pattern, Jeanne Kay Speight has hers all made!! It's fabulous, Jeanne Kaye...but I have to wonder...what's in your coffee?!? Wow, you are fast! Thanks so much for sharing the picture. Many of you have been asking when the book will be arriving and believe me, no one wants it more than me! It's like the last few weeks of a pregnancy where you just want that baby in your hands. Patience isn't always easy. The original release date was October 7 and obviously that didn't happen...but for a very good reason. The editors at AQS decided that it would be a wonderful thing to include a CD of templates with the book so that you can print your own at home full-sized, instead of trucking out to get things photocopied and enlarged. Honestly, I love the idea...but it has added a bit of time to the project. 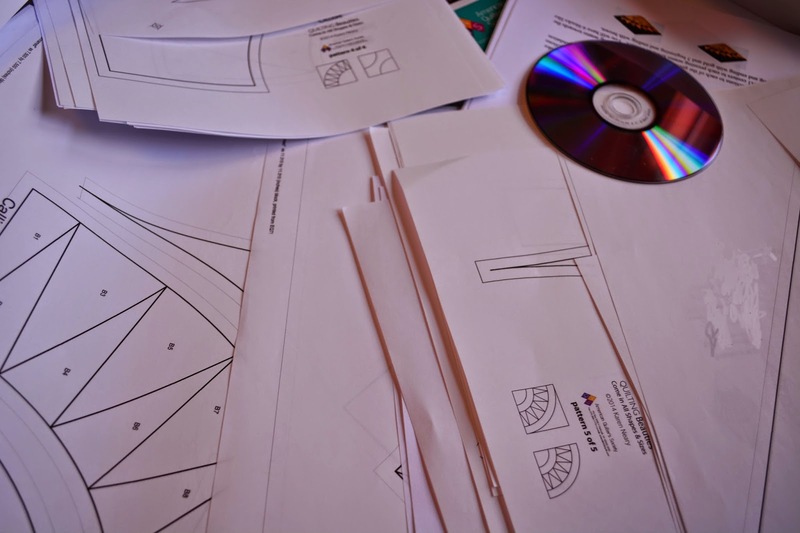 It is imperative that these templates are perfect - it is patchwork after all, and the pieces HAVE to fit together with exact precision. It takes checking, rechecking, and RECHECKING by many individuals before we get the go ahead. I am part of the checking process, and I am really happy that AQS is being so diligent in their work. This is not a place to make mistakes. Self-threading needles: have you tried them? They are a great time (not to mention frustration!) saver. 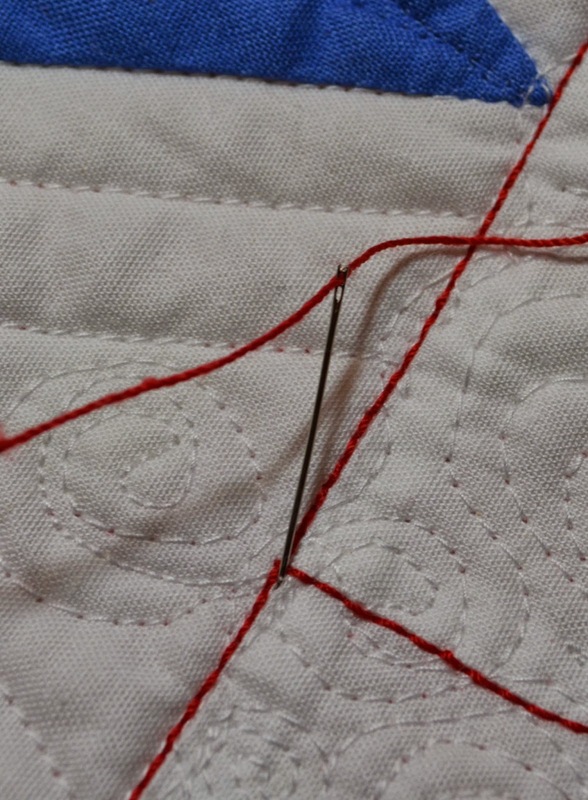 On my latest quilt, I used a 12 weight topstitching thread to do a bit of accent stitching over top of the quilting. There were a lot of ends to darn in, and I was not looking forward to threading this thick thread into the small eye of the needle over and over again. 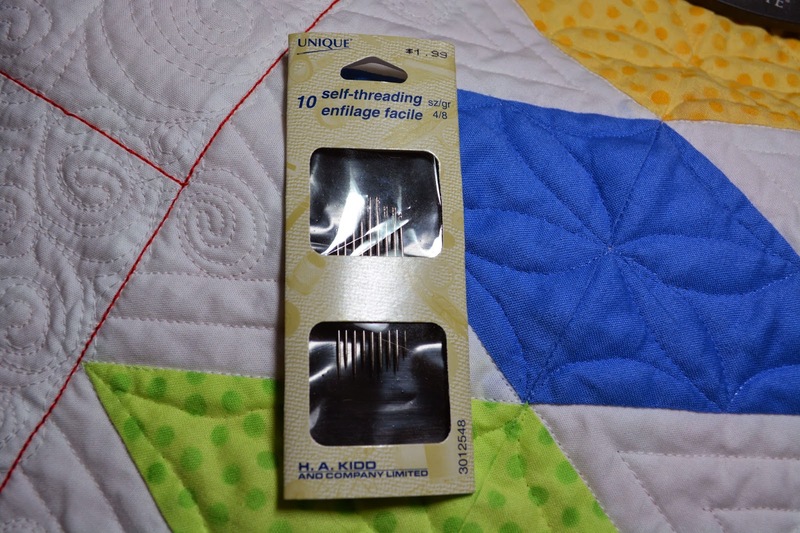 This packet of self-threading needles was perfect as it has a variety of sizes in the package and I found one which handled the heavy thread with ease. These unique needles actually have two eyes, and a slot at the top where you lay the thread and simply pull it down into the bottom eye. 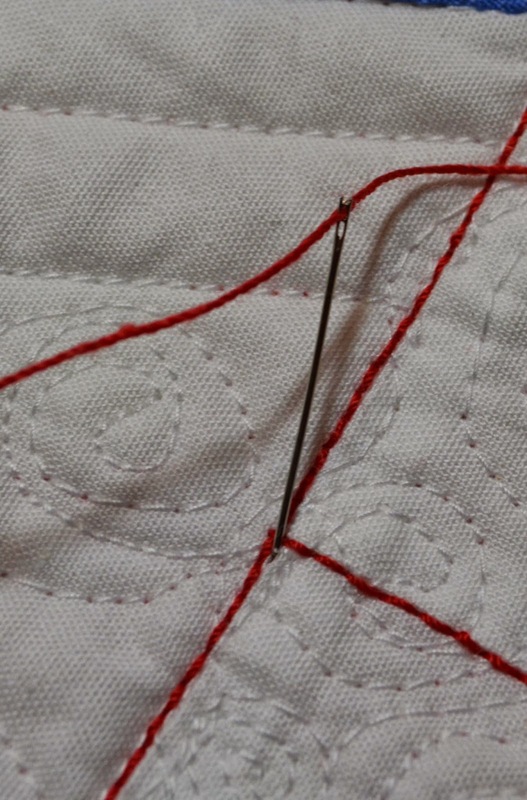 The top eye acts as a buffer in case the thread slips out mid seam. I got these at Mrs. Pugsley's. 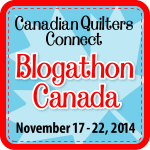 If you are visiting this week as part of Blogathon Canada, welcome aboard! 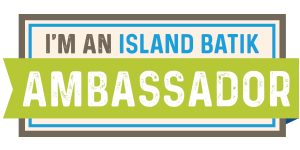 I am pleased to be included on the list for my province as a Nova Scotia Blogger (Bluenose Blogger sounds like a good title, actually!) Please have a look around; if you type "tutorial" in the search this blog field on the left, you will bring up a few free projects from the past. My patterns may be purchased from my website. I hope you enjoy the posts, and will make this a regular stop on your daily blog reading. 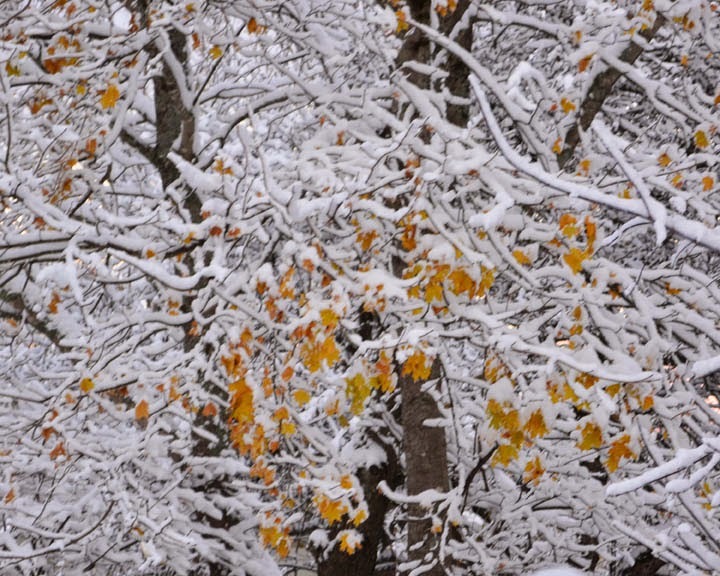 The host for Nova Scotia is Linda, who blogs here; visit her site to see the complete list of N.S. bloggers and enter to w in some great give-aways! I feel like I've been spinning my wheels for the past month or so, getting caught up from Fibre Arts Festival and with yesterday's snow now my wheels are literally spinning! 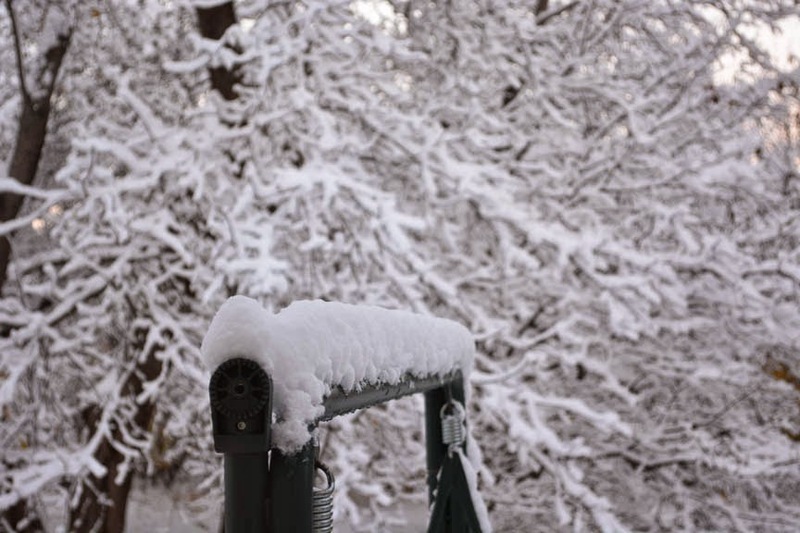 Our first real snowfall of the season...and it's a pretty one! 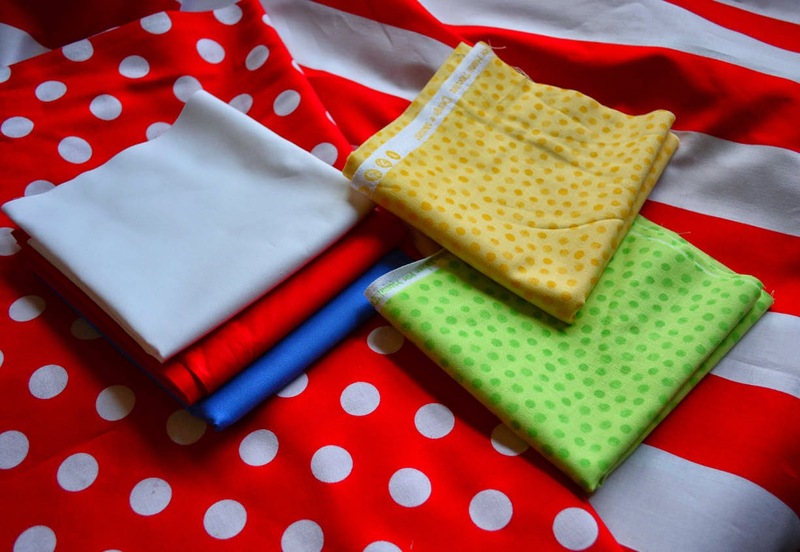 Inside, I've been working away on the colourful fabrics from Mrs. P's that I showed you in this post. I am about half way through the quilting, and have a few more fiddly details to work out on the pièce de résistance (the accompanying canopy) and then it's on to writing the directions. Barring interruptions, that's a good week's worth of work before it's ready to post. Jeanne Kaye Speight has done it again! She has finished another top, this one my Quilt Of Learning pattern. 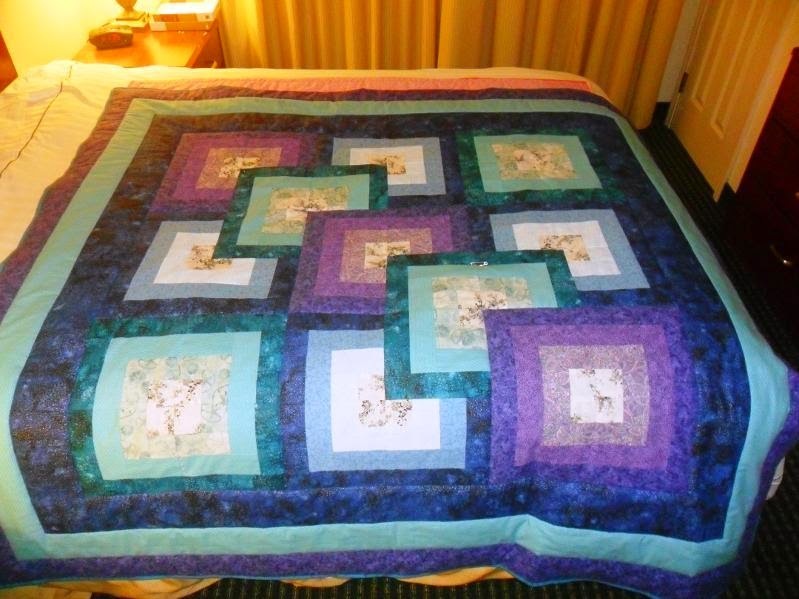 Jeanne Kaye writes, "I loved making this pattern! It reminded me of all the wonderful hours I spent watching Sesame Street with my two little boys...Thank you for another terrific pattern. 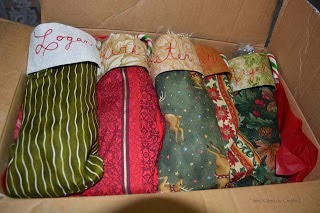 I used a mini jelly roll, a pack of 6 fat quarters, and 3 yards of aqua fabric from the same line." 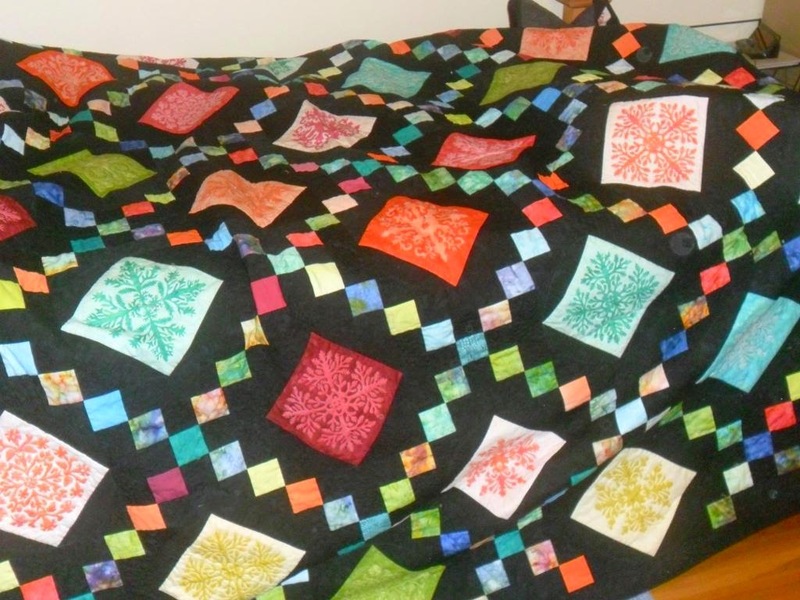 Jeanne Kaye's quilt is now waiting for her favourite longarmer to work her magic. I can't wait to see how she quilts it. Thank you Jeanne Kaye; if you scroll back a few posts you will be able to see several more of Jeanne Kaye's projects. No wonder Linda from Stitch Lines refers to you as the Energizer Bunny! As I've said many times before, I meet a lot of interesting people on my quilt journey and today I will introduce you to one who really stands out: Jose Hermosillo from San Diego. First let me clarify the word "meet" because it's used in a virtual not a real sense. 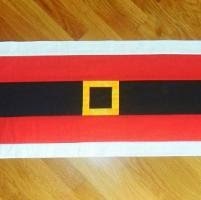 I encountered Jose when he posted this picture of his Simply Santa table runner on Craftsy. His moniker there is Quilt Dude. What really caught my attention was his fabulous attitude, and sense of humour. His response to the standard Craftsy question of "What are you most proud of about this project?" was " It looks just like the picture! LOL". This is someone having fun with quilting. I left a comment, he responded, and eventually we had a nice little chit chat. He generously shared more pictures of his work and a little about himself which I found very interesting, so I asked his permission to share it here with you. 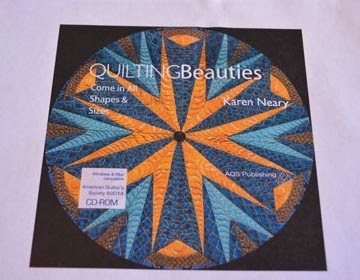 "I live in San Diego, and started quilting in the mid 90's for a bit, really, on a whim. My first quilt, needless to say, was a disaster, but I was proud of it. 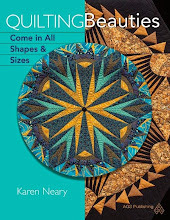 More than the quilt itself, though, I liked the process of creating, so I decided to buy a book [my quilting bible is what I call it and still have it and refer to it regularly!]... I wanted to quilt the right way, and started making quilts - mostly for my then infant nephews and nieces. All those quilts are long gone, too. After a few years, I stopped quilting, and in 2010 one day I just decided Hey, I liked quilting, let me start doing that again....I love quilting, it relaxes me, I get lost in it for hours, sometime without meaning to." Much of the work from this quilt dude's hands is given as gifts. Last Christmas he made 25 of these small Christmas trees to share (you can see on the blue one how they light up!). This is a family tree quilt made for Christmas 2011 for his parents showing brothers, sisters, and cousins. 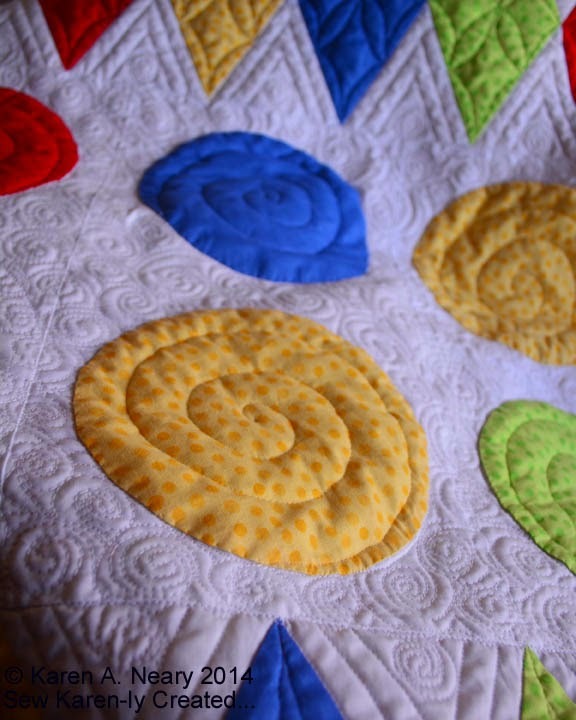 One of his first quilts, held by its happy owner, remains one of Jose's all time favourites. This quilt is an homage to his favourite artist, Prince. It's a whole cloth on the front, with lyrics from his songs as the quilting. The back is pieced scraps of purple and white. Below is Jose's exquisite interpretation of a Piet Mondriaan painting. This gorgeous quilt is pieced from batiks, with colourful squares surrounding Hoffman Bali tiles. Wow! 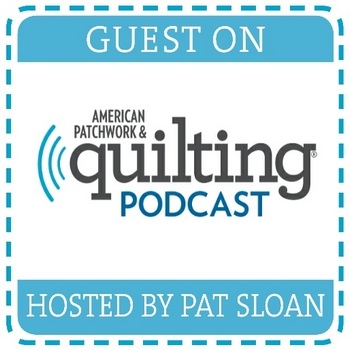 "As most of us do, I see through quilter's eyes, always looking at color combinations, patterns, and inspiration to possibly be put down into a quilt top. 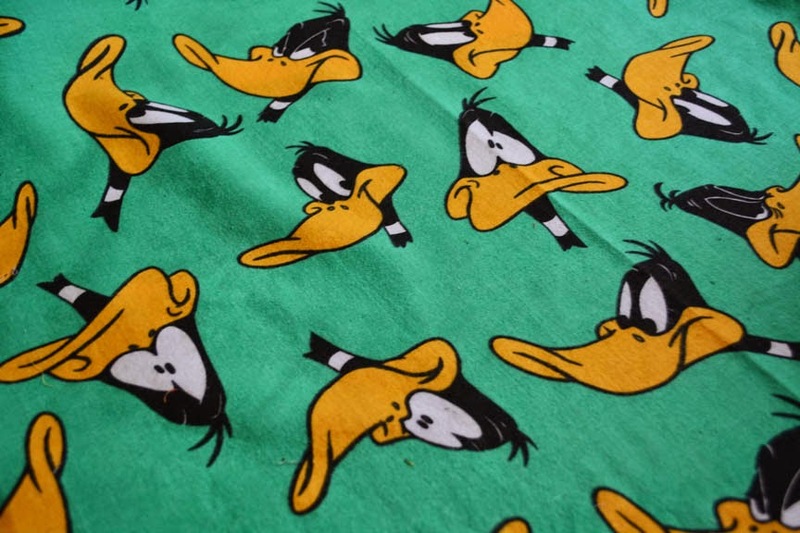 Again, as most of us do, I'm sure, I always have two, three, four projects in mind that I want to do while I currently work on finishing the two, three projects on my table and in my sewing machine." Thank you Jose for sharing your talents in this virtual quilt show; I for one have enjoyed it very much. 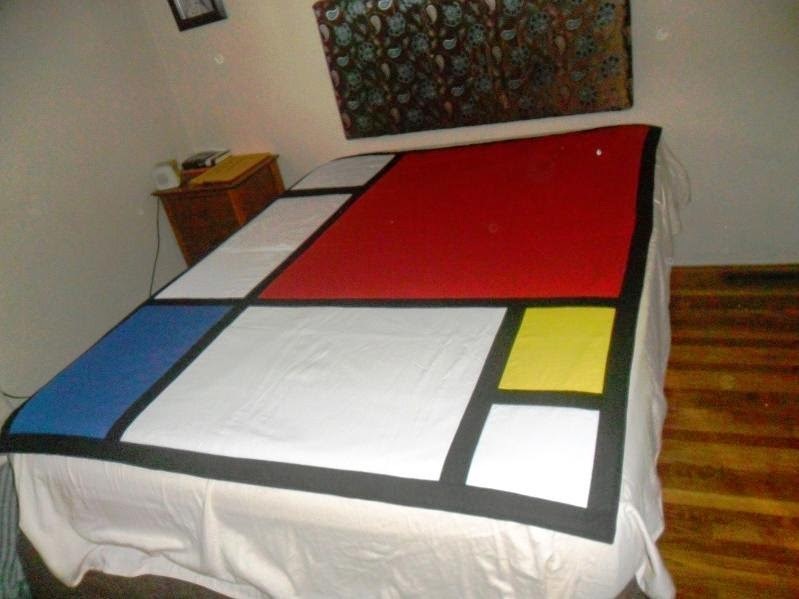 You are one creative quilt dude! 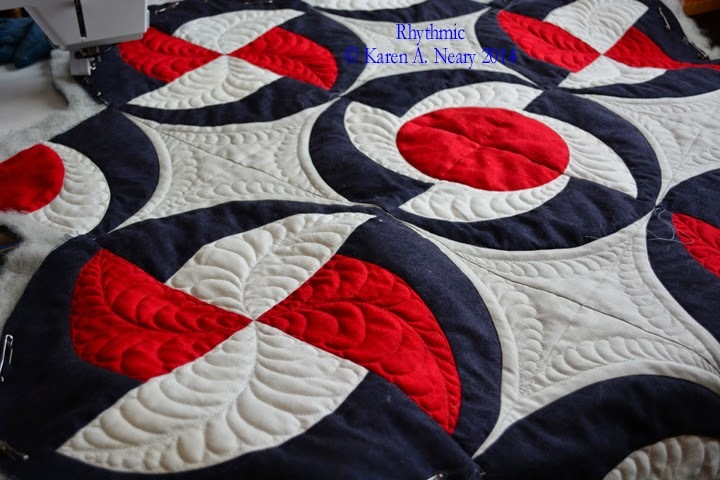 My sincerest thanks to all who voted for my quilt Rhythmic in the recent Craftsy Design Awards. You can check out the winners here! We've hit a few snags in our latest quilt - including running short of fabric twice - so we have called a halt to production as we reassess and see where it is headed. Polly is tired of jumping through hoops to make it come together. 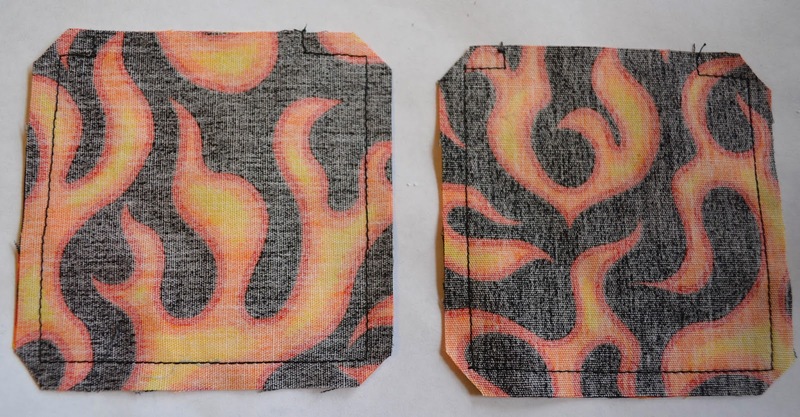 This is not unusual in the development of a new pattern because it requires lots of tweaking to make things gel, and in the simplest way possible. The latter is key to a successful design. As Einstein said, "make things as simple as possible, but no simpler". We are working towards that end. La Guilde Acadienne de Clare is busily preparing goodies for their Christmas Tea and they invite you to join them on November 23, from 11 - 3 pm. You can do some Christmas shopping while enjoying your treats, and the hospitality is second to none! I've had a quilt stuck in my head for over a year. I have sewn it virtually in many fabrics and colour combinations, tweaking the design each time. 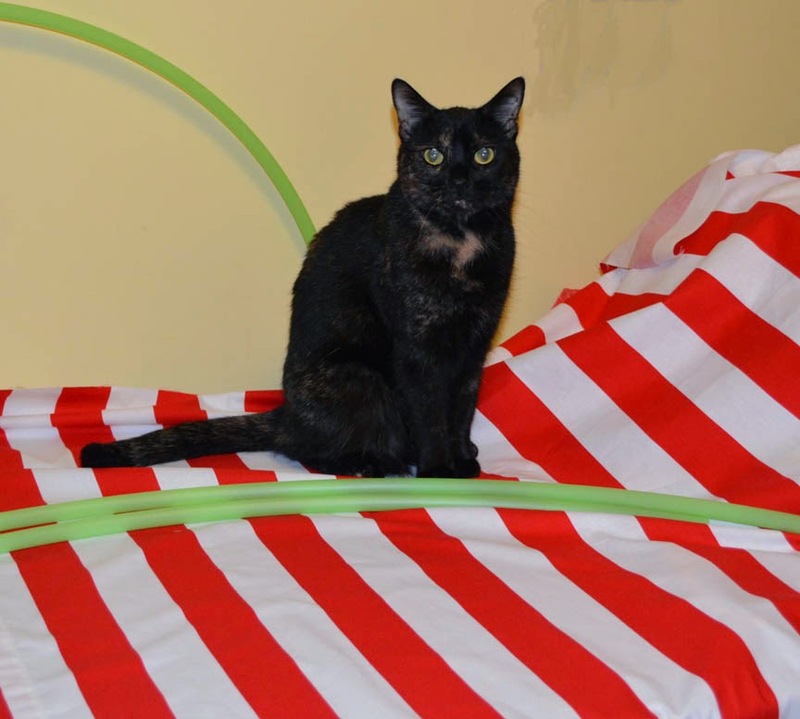 When I saw this striped fabric at Mrs. Pugsley's, I knew it was time to make it for real. The coordinates are solids and subtle dots; the red and white polka dot will be backing. It makes me think of Minnie Mouse, but the design has no mice. It will include all kinds of geometric shapes: circles, squares, diamonds, triangles...and stripes. This will be a fun project to sew and I am excited to start cutting.